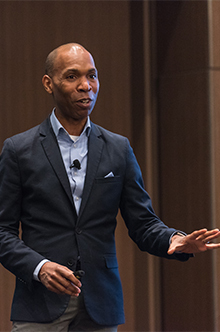 Rodney Jones-Tyson, Chief Operating Officer of Baird Global Investment Banking (GIB), led a session at the 15th annual Great Places to Work Summit in San Francisco on March 9. The session, titled, “Get A Life: Innovative People Practices to Make Demanding Careers Rewarding,” reviewed the various initiatives that Baird GIB has implemented to enhance employee engagement and retention in the very fast-pace and highly demanding role of investment banker. The presentation highlighted how Baird was able to identify what changes to make, which changes have had the greatest impact and areas that still require more of the firm’s attention and innovation. The session also included candid Q&A portion with the audience, where many representatives of companies in other demanding industries continued the dialogue. 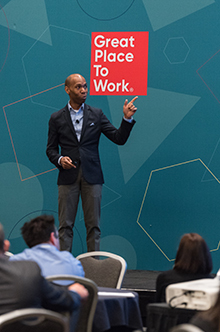 The Great Places to Work For All Summit focuses on cutting-edge innovations in leadership, technology, and partnerships that enable organizations to create high-performing, great places to work for all. Learn more about this conference here.